After a busy week of racing it’s now time to look ahead to the weekend… and what will be another action packed few days. 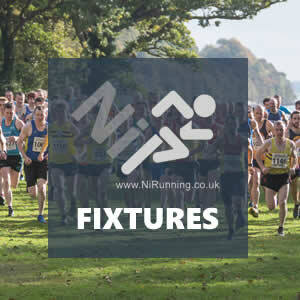 There is an abundance of fixtures, spanning across Northern Ireland, with the Ballyclare Mayfair 10k, Runher Coastal Challenge, Irish Milers Club Belfast Grand Prix and Carmen Runners 1 mile Relay Championships being the stand out fixtures. Outside Northern Ireland, local athletes will represent Ireland at the European 24-hour Championships in Romania. There will also be familiar faces at the AAI Games and Combined Events Championships in Dublin (Ireland), the European Club Championships in Birmingham (England) and the BMC Watford GP in England. The aforementioned events will form the basis of our weekend preview, but we’ll provide a list of all of the other events taking place in Northern Ireland this weekend as well. The weekend action will kick off later tonight (Friday 25th May 2018) with the popular Runher Coastal Challenge. The ladies only event, which offers competitors the opportunity to race over 5k, 10k and half marathon distances will attract in excess of 1,000 athletes. The inaugural half marathon will create history, with approximately 250 participants competing in the first ever women-only half marathon in Ireland – and a special finishers’ medal has been designed to mark the occasion. After starting at the Dirty Duck Public House (at 6:30pm), the runners will follow the coastal path to the McKee Clock turn around on Bangor’s Marina, before retracing their steps to the Crawfordsburn Country Park finish. After impressive fourth place and sixth place finishes at the Larne and Omagh Half Marathon’s earlier this year, it’s hard to look past talented distance runner Lyndsey Tyro (Orangegrove AC) when considering potential winners of the 13.1 mile event. Although Lyndsey will start as pre-race favourite, she will need to fend off Sperrin Harriers’ Cheryl Cardwell and Ballydrain Harriers athlete Claire Ingram. The 10k event, which kicks off at 7:15pm, will see over 600 ladies cover the coastal path between Seapark (Hollywood) and Crawfordsburn Country Park. North Down AC’s Jodi Smith will lead the way here. The Northern Ireland international, daughter of David Seaton, should reach the Crawfordsburn Country Park finish line first. However, Amanda Perry (Ballydrain Harriers) will provide good competition based on her recent form. Nicola Stevenson (North Down AC) and Julie Balmer (Unattached) will also place well. Approximately 300 ladies will take on the 5k event, which starts at Rockport School and finishes in Crawfordsburn Country Park. Jenny Finlay (Lagan Valley AC) and Nicola Downey (North Down AC) are expected to be amongst the leading pack. Online entry for the Runher Coastal Challenge is closed but runners can still enter at pack collection on Wednesday or Thursday in the Pure Running shop (Belfast) or in the Seapark Pavilion, Hollywood on Friday afternoon. Also on Friday 25th May 2018, Carmen Runners will welcome athletes from across the Province to their annual 1 mile Relay Championships, an event which is growing in popularity. 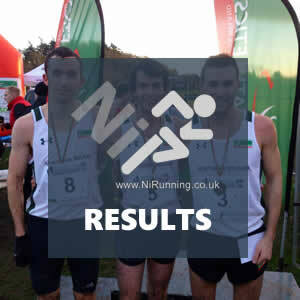 Finn Valley AC, Derry Track Club, Acorns AC, Omagh Harriers, Sperrin Harriers, Victoria Park & Connswater AC and St Peters AC all registered strong teams. Joint course record holder Darrell McKee will return and will have his eye on the course record (4:40) he set with Conan McCaughey last year. Sarahjane Guiney (Victoria Park & Connswater AC), Marina Murphy (Derry Track Club), Enya Haighey (Derry Track Club) and as Carmen Runners’ own Sarah Broderick and Aisling Murray will be chasing the ‘fastest lady’ title. Currently, just over 50 teams have registered for the well-organised event. On Saturday 26th May 2018, just over two hundred athletes will descend on Ballyclare Rugby Club for the Ballyclare Mayfair 10k, an event hosted by County Antrim Harriers. Fresh from a 15:00 clocking at the Buncrana 5k, North Belfast Harriers man Mark McKinstry will feature prominently at the head of the pack. Behind, Matthew Hewitt (East Antrim Harriers), David Clarke (North Belfast Harriers), David Noble (Larne AC), Tim Khanna (East Antrim Harriers) and Andy Gregg (Larne AC) will be amongst those chasing a podium place. In the ladies race, reigning Champion Gladys Ganiel O’Neill (North Belfast Harriers) will return and should again led the way. Larne AC’s Patricia Blair and PACE Running Club’s Claire Forth will also place well. The event, which includes a 5k race, kicks off at 10am. On the day registration will be available at Ballyclare Rugby Club. On the same day, the Irish Milers Club alongside local clubs Beechmount Harriers and West Belfast Coolers will welcome a plethora of talent to the Mary Peters Track for the annual Irish Milers Club (IMC) Belfast Grand Prix. Northern Ireland 5,000m and 10,000m record holder Emma Mitchell (QUB AC) will take on GB international Claire Duck in the 3,000m, which also includes local athletes Rebecca Henderson (QUB AC), Rebecca Wallace (Lagan Valley AC) and Jessica Craig (North Down AC). Paralympic star Jason Smyth (Derry Track Club) will compete over 100m and 200m, while in the feature Men’s Mile, Dan Tanui (Project Africa), Danny Mooney (Letterkenny AC) and Conall Kirk (Annadale Striders) will all take to the start line. UCD AC’s Alana Lally will take on fellow Irish athlete Claire Mooney over 800m with Northern Ireland’s Rachel Gibson (North Down AC) and Victoria Lightbody (City of Lisburn AC) both due to compete in the same event. Northern Ireland athletes Leon Reid (Birchfield Harriers) and Ann-Marie McGlynn (Letterkenny AC / Thames Valley AC) will be in action at the this weekend’s European Club Championships in Birmingham, England (Saturday 26th and Sunday 27th May 2018). Commonwealth Games bronze medallist Leon will compete in his favourite 200m event, while Ann-Marie, who impressed with a 33:53 finish over 10,000m last weekend, will compete in the 5,000m. The event start lists are available HERE. Louise Smart (County Antrim Harriers) and Eddie Gallen (Finn Valley AC) will be part of a strong Ireland team competing at the European 24-hour Championships in Timisoara, Romania this weekend (Saturday 26th & Sunday 27th May 2018). Respected Northern Ireland based Physiotherapist Gary McConville is also part of the team. Closer to home on Saturday 26th and Sunday 27th May 2018, a host of local talent will compete at the Irish Life AAI Games and Combined Events Championships at the Morton Stadium in Santry, Dublin. In the AAI Games, Jonathon Carleton (Ballymena & Antrim AC), James Hamilton (Ballymena Runners), Conall Kirk (Annadale Striders), Darren McBrearty (Letterkenny AC) and Clodagh O’Reilly (Annalee AC) will be just a few of the familiar faces chasing fast times and podium places. Up and coming athletes Finn O’Neill (City of Derry AC) and Niamh McCorry (Annalee AC) will be amongst the medal hopefuls at the Combined Events Championships. Start lists and a provisional timetable for the event are available HERE. Local stars Ciara Mageean (UCD AC – New Balance) and Kelly Neely (City of Lisburn AC) will line up in the Ladies 1500m ‘A’ race at the British Milers Club (BMC) Watford Grand Prix in England (Saturday 26th May 2018). 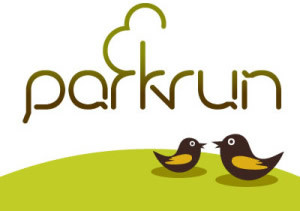 As always, Northern Ireland’s twenty five parkrun events will take place this weekend. For more information on these, or to locate your nearest event, please visit our dedicated ‘parkrun’ section within our fixtures page.